“What does the Bible have to say about reincarnation?” Nothing, if we expect to find the word reincarnation. A lot, if we read the Bible through the lens of belief in reincarnation. In the previous chapter, I discuss the early Church Fathers’ efforts to establish a worldwide church subscribing to one and the same doctrine. A very serious repercussion has been heresy trials resulting in excommunication, burning of books, even death for expounding a different doctrine. A second devastating consequence has been the forced reading of and interpretation of the Bible according to the established church creeds. Any portion of the Scriptures that is contrary to the established creed (or, for those churches not subscribing to a creed, the traditional facets of the Christian doctrines) are ignored. Much within the gospel of John, which many scholars believe to be based in Gnosticism, is an excellent example. Another illustration is Jesus’ statement, found twice in the gospel of Matthew, that John the Baptist is Elijah. For seventeen hundred years, the church continues to read the Bible through the lens of the established creeds. In so doing, our eyes are blinded to the opportunities for new insights. 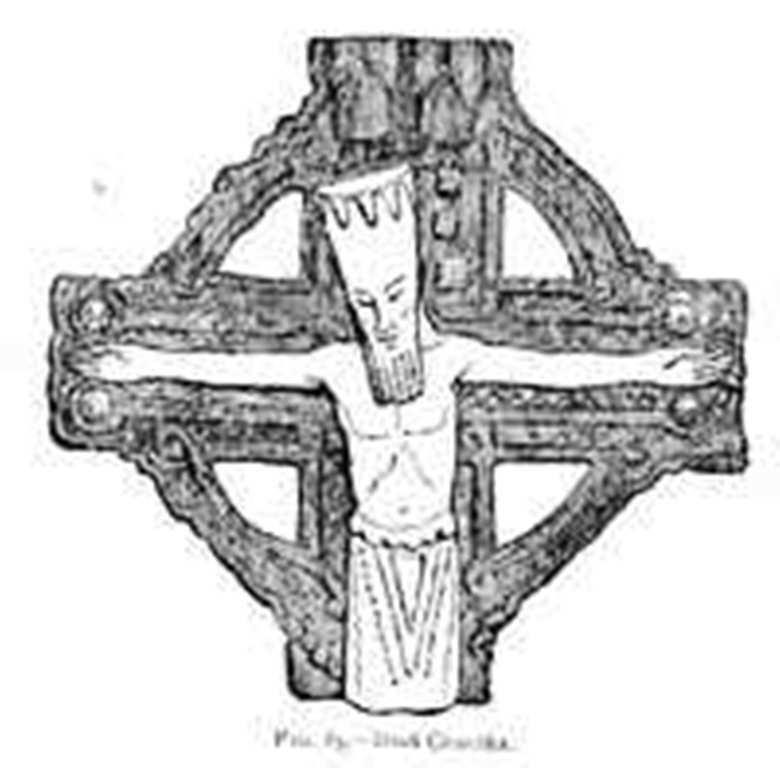 Even when a minister or layperson recognizes new truth within its pages, the establishment reacts with the statement that has stifled spiritual insight throughout Christian history: “That interpretation is not according to Christianity.” Christianity becomes an idol of stone hindering the unfolding of new understandings via the Bible. Another way by which the many layers of meaning to be found within the Bible is stifled is the instruction to seek to determine what the writer intended to say. This is a fallacy because if the Bible is truly inspired, the writer is not a consideration. Inspiration comes through the writer, not from the writer. The real question is: what is Source saying? With this in mind, let’s try on a different set of eyeglasses. You can always choose to return to your old ones. For now, let’s embark on a sightseeing adventure through the pages of the Bible. The fee for this quest is an open mind. Our destination is to find those places in the Bible where the concept of reincarnation deepens our understanding and offers new insights. Scholars are confident in dating the writing of Malachi in the first half of the fifth century B.C.E.78 Thus for at least five hundred years before the birth of John the Baptist, the Jewish people look forward to the return of Elijah as heralding a time of healing, blessings, and peace. Knowing this prophecy will aid in the understanding of the New Testament text and why the Jewish people question whether or not John the Baptist and Jesus are Elijah. If John the Baptist is the reincarnation of Elijah, would he not be the first to know? Think back to the discussion of continuity of consciousness in Part 1. It is not surprising that John does not remember his incarnation as Elijah. The lack of memory is a safeguard to ensure John completes his soul’s work this lifetime. If we read the stories of Elijah, we learn he orders the people to kill 450 Baal priests. The soul of Elijah has negative karma to confront while in the physical body of John the Baptist. John can accomplish his ministry of preparing the way for the Lord much better if he does not consciously remember that he has a debt to pay. Continuity of consciousness is readily available to us only after we have cleared away enough of our negative karma for the memories not to overwhelm and render us immobile with guilt and dread. The negative karma Elijah sows by having the priests murdered is reaped by the soul while in John’s body. John is beheaded for what appears on the surface to be a whimsical gift to Herodias’ daughter.83 Underneath the obvious is the reaping of the soul’s past life negative karma. By the time of the transfiguration, John the Baptist has been beheaded. The soul that occupied the physical bodies of Elijah and John is here seen appearing as Elijah in spirit, accompanied by Moses. From the world of spirit, Elijah and Moses assist Jesus with the completion of his earthly mission.85 Our souls move back and forth from the world of spirit to the world of matter. Wherever we are, we reside in a community of spiritual and embodied souls. The case study of John the Baptist takes us through an entire scenario of the concept of reincarnation. We move on to the second step on our sightseeing tour of the Bible. The presence of an underlying belief in reincarnation can be seen in the story of a man born blind, found in John 9. Jesus and his disciples are walking when they notice a man, blind from birth. The disciples question Jesus: “Rabbi, who sinned, this man or his parents, that he was born blind?” Jesus answers, “Neither this man nor his parents sinned; he was born blind so that God’s works might be revealed in him.” Looking back to Part 1, you can find examples of souls planning, while in spirit, to incarnate with particular handicaps for specific purposes. This man’s soul agreed to be born blind “so that God’s works might be revealed in him.” Notice how the disciples, like us, immediately assume the negative: blindness is a result of sin. Jesus refutes this pessimistic judgment. In doing so, he reveals just how seriously we may err, when we choose to be judgmental. The Greek word used here is gennethe in the passive voice, indicating the subject is acted upon by someone else. In the passive, gennethe means to be born of a woman. The Greek work translated here as again is anothen. It means both again and from above. I choose to translate anothen as born again based on the passive voice of gennethe. Read through the lens of reincarnation, Jesus explains to Nicodemus that he must re-incarnate; he must be born of woman again. Water symbolizes many things in the Bible, so we cannot be sure what Jesus means. We can find clues by observing how water is used throughout John’s gospel. Jesus turns the water into wine at the wedding feast. Jesus walks on water. Jesus heals the lame man beside the waters of the Bethzatha Pool. In John 7:37-38, the Father within Jesus speaks, “Let anyone who is thirsty come to me, and let the one who believes in me drink … out of the believer’s heart shall flow rivers of living water.” Each of John’s usages of water relates to a level of spirituality that manifests the Father within. To know and manifest the Father within self is the goal of reincarnation. The majority of us take many lifetimes to evolve back to our original state as a being of spirit, manifesting according to God’s image. Thus, in order to be born of water and the spirit, we must reincarnate. Jesus grows impatient with Nicodemus’ lack of understanding: “Are you a teacher of Israel, and yet you do not understand these things?” Pharisees believe in reincarnation for the good souls. Why are you, Nicodemus, having so much difficulty with the concept? Our fourth sightseeing location is in Caesarea. Jesus and his disciples have just arrived. Curious as to who the crowds think he is, Jesus asks, “Who do people say that the Son of Man is?” With the ease of those who accept reincarnation, the disciples answer him: “Some say John the Baptist, but others Elijah, and still others Jeremiah or one of the prophets.”87 Elijah, Jeremiah, and the other prophets lived hundreds of years before Jesus. Neither the disciples nor Jesus find it odd that the people are speculating that Jesus is a reincarnation of one of the prophets. A belief in reincarnation is an integrated part of the culture in which they live. We all know that murderers do not necessarily die violently in the present life. Jesus is teaching his disciples that violent behavior in this life will eventually be met with violence, in this life or a future one. Violent actions create negative karma. However, all souls have the opportunity to transmute this violent karma—before it manifests—through loving service to others. Negative karma stored within our energy field is temporary and can be transformed by exercising forgiveness and loving service. Only positive karma is stored eternally. Positive karma becomes “the stars in our crown” celebrated in an old gospel hymn. With the above evidence, and more, of the presence of reincarnation within the Bible, why does traditional Christianity choose to ignore this powerful avenue of God’s grace. In order to answer these questions, we must consider traditional Christianity’s doctrines relating to Jesus, grace, and the human condition. On the basis of this description of Jesus rests our misconceptions of his true identity, his role in the salvation of humanity, and humanity’s condition. Fierce controversies over Jesus’ divinity versus his humanity, or combination thereof, are raged by Christians for hundreds of years. Ruthless debates over humanity’s original sin, humanity’s deprived state, and God’s need for a blood sacrifice fill the pages of numerous theological treatises. With the concept of reincarnation deemed heresy, the horrendous doctrine of double predestination is devised as a means to explain the presence of unmitigated evil in the world.91 (Endnote contains added information.) Theologians are forced to talk around their elbows and back in an effort not to punch holes in the above creed. Fear is rarely admitted. I hear it when a bereaved person comforts himself with the words, “I’m sure she went to heaven. She was so good.” Though not a conscious part of his daily life, the belief in hell rises to the surface when the individual is confronted with death. The human psyche is deeply scarred with the church’s teaching of a physical place called hell, created by a God who intends to punish some individuals for eternity. As long as the church ignores the fact of reincarnation, hell remains the only method for God’s justice to work itself out. Yet hell, as a place for some to spend eternity, is not biblical. Rocco Errico offers a word study. The English term hell comes from the Anglo-Saxon hel, meaning a hidden place. Hel comes from the verb form helan meaning to hide. Thus the English root word for hell, helan, has nothing to do with hell-fire. Biblical translators used the word hell to translate two different Semitic words: gehenna or gehenna dnoora in Aramaic (the language of Jesus) and sheol in Hebrew. Sheol comes from the Hebrew root word shalal meaning to be still, quiet. The ancient Hebrews believe sheol to be a place beneath the earth’s surface where those who die, both good and bad, are inactive and quiet. They await judgment or resurrection day. It is a temporary resting place in the underworld. The Aramaic gehenna dnoora refers to the “Valley of Hinnom.” During the first century C.E., Gehenna Dnoora is the garbage dump for Jerusalem. Located outside the city, people bring garbage to Gehenna Dnoora and burn it. The Judean king, Ahaz (735-715 B.C.E. ), uses this valley to offer sacrifices to idols. Here, in the Valley of Hinnom, King Ahaz sends his son to the flames as a human sacrifice to the gods. As a result of these sacrifices, the valley Gei Hinnom becomes a Semitic term for hell.92 The Old Testament sheol and the New Testament gehenna dnoora in no way refer to a place established by God for eternal punishment. Revelation 21:8 is another verse that seems, on the surface, to verify the Christian concept of hell: “But as for the cowardly, the faithless, the polluted, the murderers, the fornicators, the sorcerers, the idolaters, and all liars, their place will be in the lake that burns with fire and sulfur, which is the second death.” Throughout Revelation, sulfur appears in relationship to the eternal fires.93On the mundane level, sulfur is a natural element found in protein. Protein is essential to the well-being of our physical bodies. Hidden wisdom uses sulfur as an alchemical symbol.94 Alchemy, as defined by Webster, is the “power or process of transforming something common into something special.” Thus sulfur in combination with the eternal fire is the means by which souls are transformed “from something common into something special.” The second death is therefore death to the lower self (or something common) so that the something special can be resurrected. Revelation is speaking of the astral plane where all negativity is eventually transmuted and resurrected into something special. Hell, as a place of eternal punishment, is not biblical. God truly is love. Sadly the misconceptions of the church render Christians paralyzed with fear. Although many ministers and laypersons say they no longer believe in hell, no concentrated effort is made to correct this destructive doctrine. It is simply ignored. To ignore it does not alleviate fear. Instead, the fear is repressed, giving it power far beyond our recognition. Why, when the minister who attempts to present new insights is silenced, does she acquiesce? Why is the layperson hesitant to ask the questions that really concern him. For the minister, loss of the particular pulpit may lead to a more open congregation. For the parishioner, loss of status within the church community is far less restricting than repressing questions springing from the soul. The healing of subliminal fear of an unpredictable God awaits the church’s awakening to and proclamation of Truth. As I continue to share the story of my search for Truth, I pray you will have the courage to explore with me and recognize for yourself, God is Absolute Love. Throughout the gospels of Matthew, Mark and Luke, Jesus refers to himself as the Son of Man, thus emphasizing his prototype human role. This prototype human concept of himself is reinforced throughout his teachings. Jesus repeatedly shifts the attention from himself to “his Father in heaven.” In Matthew 8, an individual suffering from leprosy approaches Jesus, asking to be healed. Jesus touches the man’s scaly skin, saying, “Be made clean.” As the man is healed, Jesus commands him to go to the temple and offer a gift of thanksgiving to God. Jesus deflects the credit for the healing from himself to God. Mark 10:17-22 relates the story of a rich man running up to Jesus. “Good Teacher, what must I do to inherit eternal life?” Jesus corrects him, “Why do you call me good? No one is good but God alone.” Then Jesus answers the man’s question according to his individual soul’s needs. Jesus senses that this wealthy man is attached to his material possessions. His soul needs to learn at least three lessons this incarnation: 1) detachment from riches as his source of supply; 2) sharing his possessions with others; and 3) looking to God alone as his source of abundant supply. Grieving, the man turns away—he is not yet ready to learn. That Jesus views himself as the prototype human is obvious in Luke 6:40. “A disciple is not above the teacher, but everyone who is fully qualified will be like the teacher.” Jesus expects his disciples to develop the same level of spiritual maturity he exhibits. He is frustrated with their failure to do so. While the disciples are rowing across the Sea of Galilee, a storm splashes waves into the boat. Fearful for their lives, the disciples call to Jesus to wake up and save them. After calming the sea, Jesus questions his disciples, “Why are you afraid? Have you still no faith?”95 Jesus expects them to have the faith needed to calm the sea. Instead, they simply look at him in awe. The disciples seem unable to comprehend Jesus’ expectations of them. 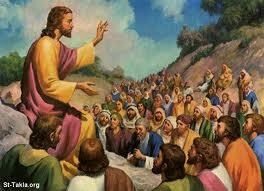 On another occasion, Jesus is teaching a crowd of five thousand men in a deserted place. As dusk approaches, his disciples grow uneasy. They want Jesus to dismiss the crowd so they can go into the villages, find a place to spend the night, and purchase some food. Jesus expects the disciples to solve the problem: “You give them something to eat.”96 Once more the disciples do not know what to do. Jesus places himself on par with the disciples and the rest of humanity. He teaches us to address God as “our Father” when we pray.97 In his teachings, he refers to God as “your Father in heaven.”98 Jesus indicates the familial relationship we share with him: “For whoever does the will of my Father in heaven is my brother and sister and mother.” Our Father, your Father, my Father—we and Jesus have the same relationship to God. Because Jesus, as prototype human, is so far beyond our present demonstrated abilities, we believe ourselves to be less than he in the eyes of God. In reality, Jesus, as prototype human, reveals the goal of reincarnation. John’s gospel presents the most vivid display of Jesus’ knowledge that he is prototype man. The above portion of the Nicene Creed is based on the Church Fathers’ interpretation of John 1:1-18. Jesus is equated with the Word. The creed affirms Jesus as true God from true God. As a result, reading the gospel of John through the lens of the Nicene Creed can be a confusing experience. In contrast to the Nicene Creed, Christian Gnosticism equates the Word with the spirit of God indwelling Jesus and every other human being. As I state in Part 1, the Gnostics are reincarnationists. Scholars, not bound by orthodoxy, believe Gnostics to be the descendants of the original Christians and the inheritors of the hidden wisdom Jesus gives only to his disciples.99 The Greek meaning of christos is the Christ, the anointed one, the Messiah. Gnostics teach that the Christ is the divine spirit in every being.100 Jesus is called the Christ because he has evolved spiritually to the point of being filled with the Spirit. In his prayer for all his followers, Jesus prayed, “As you, Father, are in me and I am in you, may they also be in us.”101 Gnostics equate the Word with the Christ Spirit. Making this distinction between Jesus and the Christ Spirit indwelling all beings opens the door to the hidden wisdom teachings of Jesus, including reincarnation. The goal of reincarnation is to become one with God—to become so filled with the Christ Spirit that we, like Jesus, are manifesting as the Christ. Reading the Bible through the lens of gnosticism is a thrilling adventure. The Bible, especially John’s gospel, comes alive with individual meaning. Through the lens of gnosticism, the Bible is your story and my story, the narrative of our souls’ journey back to God. Read through the lens of the Nicene Creed, the Bible is the story of a faraway God periodically intervening within the historical setting of a helpless humanity. John’s gospel is filled with teachings of Jesus that are ignored by subscribers to the Nicene Creed. They fall on deaf ears because a Christianity based on the Creed presents Jesus as the God Man to be worshipped. To traditional Christians, relating to Jesus as an equal is a foreign concept—heresy. Jesus is the prototype man, the example we are to follow, not to worship. Believing Jesus to be a divinity we are to worship renders his teachings unfathomable. Jesus’ metaphor of the vine beautifully illustrates the sameness of the Word or Christ spirit within Jesus and humanity. In John 15, Jesus teaches, “I am the true vine, and my Father is the vinegrower … I am the vine, you are the branches.” Remember, Jesus speaks the words of his Father or the Christ Spirit within him. When Jesus states, “I am the true vine,” he is channeling the words of the Christ Spirit. In other words, the Christ Spirit (which dwells within each of us) informs us through Jesus, “I [the Christ Spirit] am the true vine.” Jesus is the spokesperson for the Christ Spirit. In Palestine, grape vineyards are a common sight. Anyone hearing Jesus’ words will immediately know that the grapes are produced on the branches. His metaphor unveils the true relationship of humanity with the Christ Spirit and God. God, as the vinegrower, is the Creator God of John 1:1. The life force through which the vine comes into being is the Word, or Christ Spirit (the only begotten Son). This life force not only fills the vine, but also its branches—humanity. 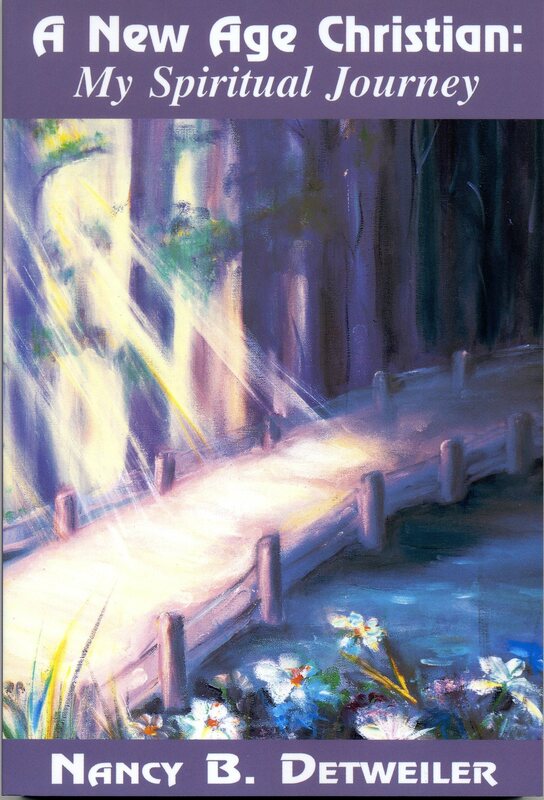 It is the life that is the light of all people. We, the branches, are to bear the fruit, to do all the works that Jesus did and more. 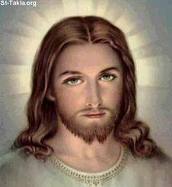 As a member of the human race, Jesus is one of the branches. Returning to the Nicene Creed, we find it states, “For our sake he was crucified.” As stated in Part 1, the early followers of Jesus were compelled by the pressures of their cosmopolitan society to answer the question: “Why do you call ‘Teacher’ a man the Roman government sentenced to death for treason?” They answer the questions within the context of their religious experiences. Christianity grows out of the Jewish religion. Throughout Old Testament times and into the first century C.E., the Jewish religion is sacrificial. Just as we have evidence of two levels within Jesus’ teachings (the parables for the crowds and the hidden wisdom for the disciples alone), 109 the Judaic sacrifice has two levels. Rituals of worship within the Jewish religion include the sacrifice of animals up to the destruction of the Temple in Jerusalem in 70 C.E. 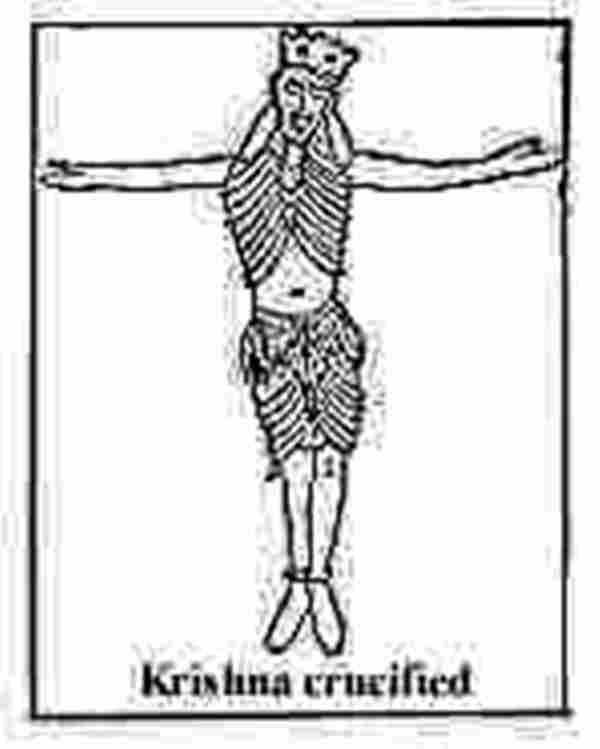 John the Baptist (as depicted in John 1:29, 35) uses a metaphor, derived from his religious background110 to refer to Jesus: “Here is the Lamb of God who takes away the sin of the world!”111 Likewise the gospel writers tend to explain Jesus’ crucifixion within the mundane boundaries of the Jewish religion. However, an esoteric level of Judaism exists. This level is illustrated by the Old Testament prophet Isaiah: “Listen to the teaching of our God …. What to me is the multitude of your sacrifices? says the Lord; I have enough of burnt offerings of rams and the fat of fed beasts; I do not delight in the blood of bulls, or of lambs, or of goats.” Instead of blood sacrifices, the Lord requests, “Wash yourselves; make yourselves clean; remove the evil of your doings from before my eyes; cease to do evil, learn to go good; seek justice, rescue the oppressed, defend the orphan, plead for the widow.”112Words, incorporated into a Christian hymn as if they relate to Jesus’ sacrifice, are instead a part of the esoteric teachings of Judaism: “Though your sins are like scarlet, they shall be like snow; though they are red like crimson, they shall become like wool.” Isaiah proclaims the requirement for this cleansing: “If you are willing and obedient, you shall eat the good of the land; but if you refuse and rebel, you shall be devoured by the sword.”113 God freely offers cleansing and abundance to all who are willing and obedient. Sacrifices are not needed. Circumcision is a Jewish ritual of dedication to the Lord, similar to the ritual of baptism in the Christian church. Deuteronomy, one of the books in the Jewish Torah (or Book of Law) unveils the esoteric level of circumcision. “The Lord your God will circumcise your heart and the heart of your descendants, so that you will love the Lord your God with all your heart and with all your soul, in order that you may live.”114 Physical manifestations or rituals are simply a reminder of higher, spiritual Truth. They do not constitute the means of salvation. How does Jesus answer when questioned, “What must I do to inherit eternal life?” As we see in the example of the rich man, Jesus responds to this question according to the individual’s stage of spiritual maturity. For this particular rich man, Jesus prescribes, “Go, sell what you own, and give the money to the poor.”115 He knows this man cannot enter the kingdom of heaven as long as he remains attached to his material possessions—in other words chained to the mundane level of spirituality. This answer causes problems for some Christians. Does Jesus mean being rich disqualifies us from entering heaven? Zacchaeus is a wealthy tax collector living in Jericho. Tax collectors are uniformly hated because they cheat the people. Upon meeting and having Jesus in his home for a meal, Zacchaeus repents: “Zacchaeus stood there and said to the Lord, ‘Look, I will give to the poor; and if I have defrauded anyone of anything, I will pay back four times as much.’” Jesus does not suggest to Zacchaeus that he sell his possessions. Zacchaeus offers to share his possessions, to balance his negative karmic debt by returning four times as much as he has unfairly taken from the people. Jesus’ response to Zacchaeus is totally different from his answer to the rich man cited above. Each of us has specific soul lessons to learn this incarnation. Jesus reinforces Zacchaeus’ decision: “Today salvation has come to this house.”116 Zacchaeus continues to be a rich man. He can accomplish spiritual maturity, while remaining rich, because he willingly shares his abundance. Jesus ends his praise of Zacchaeus with a curious statement if read through the lens of the Nicene Creed: “For the Son of Man came to seek out and to save the lost.”117 Traditional Christianity teaches that the only means of salvation is through the spilled blood of Jesus. This is not the teaching of Jesus. Zacchaeus is affirmed in his salvation on the basis of his own soul’s growth. If Jesus makes no reference to himself when expounding upon the means of salvation, why does he allow himself to be crucified? Matthew, Mark, and Luke depict Jesus interpreting his forthcoming death within the religious milieu of his day—as the sacrificial lamb. He does this through the ancient ritual of sharing bread and wine as he celebrates the Passover Feast with his disciples. In John’s gospel also, Jesus celebrates the Passover Feast with his disciples. He then washes their feet. He instructs them: “Do you know what I have done to you? You call me Teacher and Lord—and you are right, for that is what I am. So, if I, your Lord and Teacher, have washed your feet, you also ought to wash one another’s feet. For I have set you an example, that you also should do as I have done to you.”119 Jesus presents himself as prototype man. Read through the lens of the Nicene Creed, he is sacrificing his life because God commands it in order to save us from our sins. Read through the lens of hidden wisdom, Jesus is laying down his life in order to resurrect his physical body. “I have the power to take it up again.” God commands it because Jesus has attained a level of oneness with God, a level of divinity that enables him to resurrect his physical body as concrete proof that death does not exist. Jesus is the prototype man. He is a concrete revelation to humanity of the path that leads to eternal life. He affirms his ability to resurrect himself earlier in John 2:19, 21: “Jesus answered them, ‘Destroy this temple, and in three days I will raise it up’ …. He was speaking of the temple of his body.” Jesus is teaching on the level of hidden wisdom, but the people connect his words to the physical temple in Jerusalem. Orthodox Christianity also interprets his teachings on the physical level. Read through the lens of Gnosticism and reincarnation, the Bible overflows with the secret teachings of Jesus and his predecessors. Salvation of human beings is found throughout the Bible and is not limited to or dependent upon the death of Jesus. The life-giving force of the Word, the only begotten Son of God, is within all of humanity. Jesus, as prototype man, precedes us in his re-union with God. He is the Wayshower, the man who saves us by demonstrating and revealing the Way back home. We may require numerous additional lifetimes on earth before we can add the Christ after our name. God’s grace is eternal, awaiting that day. Does acceptance of reincarnation take away from the status of Jesus as the central figure in Christianity? Orthodox Christianity once more responds “yes” for the same reason cited above. Reincarnationists rejoice in their reply “no.” Jesus is the prototype man, the human being whose own triumph over lower self promises the same capacity to each of us. We are all to become Christed beings. Additional information found in the Endnotes. 76 Alexander Rofe, “Elijah,” Harper’s Bible Dictionary, 1985. Biblical passages concerning Elijah are I Kings 16:29 – 19:18, I Kings 21, II Kings 1:2 – 2:17, I Kings 19:19-21 in combination with II Kings 2:1-18. 77 Genesis 5:24, Hebrews 7:3. 78 Paul D. Hanson, “Malachi,” Harper’s Bible Commentary, 1988. 84 Matthew 11:13-14, Matthew 17:12-13. 85 Matthew 17:3, Mark 9:4, Luke 9:30-31. MI: Kregel Publications, 1960) 478. 88 For additional information concerning the evidence of reincarnation in the Bible, read Herbert Bruce Puryear’s Why Jesus Taught Reincarnation. 89 Creeds of the Churches, ed. John H. Leith (Louisville: John Knox Press, 1982) 28. 90 THE NICENE CREED: We believe in one God, the Father, the Almighty, maker of heaven and earth, of all that is, seen and unseen. We believe in one Lord, Jesus Christ, the only Son of God, eternally begotten of the Father, God from God, Light from Light, true God from true God, begotten ,not made, of one Being with the Father. Through him all things were made. For us and for our salvation he came down from heaven; by the power of the Holy Spirit he became incarnate from the Virgin Mary, and was made human. 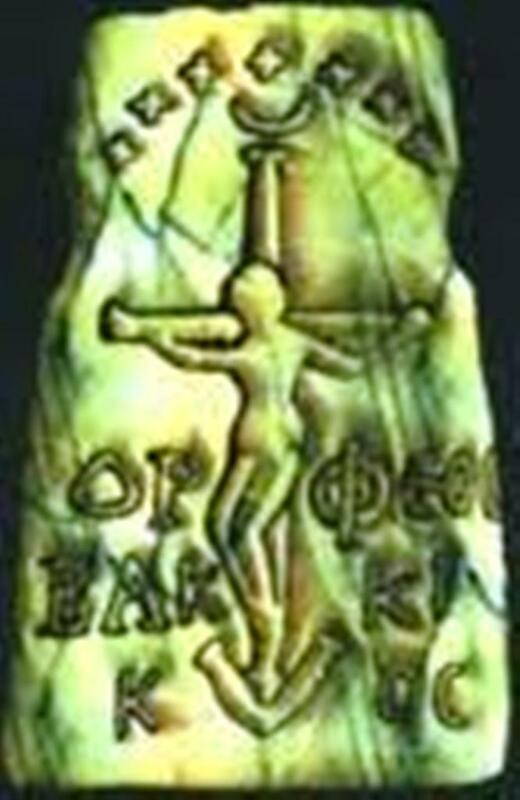 For our sakes he was crucified under Pontius Pilate; he suffered death and was buried. On the third day he rose again in accordance with the Scriptures; he ascended into heaven and is seated at the right hand of the Father. He will come again in glory to judge the living and the dead, and his kingdom will have no end. We believe in the Holy Spirit, the Lord, the giver of life, who proceeds from the Father and the Son. With the Father and the Son he is worshiped and glorified. He has spoken through the prophets. We believe in one holy catholic and apostolic church. We acknowledge one baptism for the forgiveness of sins. We look for the resurrection of the dead, and the life of the world to come. Amen. 91 DOUBLE PREDESTINATION states that God, at the time of creation, foreordains some souls to eternal bliss, some to eternal damnation. Augustine, one of the early Church Fathers, evolved a doctrine of predestination which stressed “it is God’s choice and action, taken without regard for human merit foreseen, which at once starts people on the road to salvation and enables them to persevere in it.” [Williston Walker, A History of the Christian Church (New York: Charles Scribner’s Sons, 1985) 209.] Though Augustine did not go so far as to teach those souls not selected by God are foreordained to eternal damnation, his doctrine did so by implication. Acceptance of the extreme theory of double predestination waxed and waned throughout Christian history, with its culmination in John Calvin. Calvin goes beyond Augustine and explicitly asserts double predestination. His doctrine states that the reprobation of those not elected is a specific determination of God’s inscrutable will. [John Calvin, Institutes of the Christian Religion trans. Ford Lewis Battles, ed. John T. McNeill (Philadelphia: The Westminster Press) 1viii.] Reprobation means foreordained to damnation. Calvin taught anxiety over whether or not one is among the elect is to be considered a temptation by Satan. [Calvin 1iz.] It is doctrines like double predestination that have permeated the Christian psyche with fear. Even when the doctrine is denied on the conscious level, the subconscious continues submerged in the fear “what if?” Imprisoned by fear of a capricious God, Christians have understandably been very hesitant to read the Bible with any other than the traditional lens. Such doctrines have deprived Christians of much joy. 92 Rocco Errico, “Why Hell Is A Rubbish Heap,” Science of Mind Magazine Feb. 1996:103. Used with permission by Rocco Errico. Dr. Errico’s book entitled Let There Be Light presents seven keys for gleaning an understanding of the Bible. These keys are based upon his knowledge of the Hebrew and Aramaic languages (the original languages of the Old and New Testaments), plus the ancient Middle Eastern culture. 93 Revelation 9:17, 14:10, 19:20, 20:10, and 21:8. 94 Manly P. Hall, An Encyclopedic Outline of Masonic, Hermetic, Qabbalistic, and Rosicrucian Symbolical Philosophy, (Los Angeles: The Philosophical Research Society, Inc., 1978) CXXXII. 99 Cranston 153. Matthew 13:11, Mark 4:11, Luke 8:9. 106 John 12:44, 49, 50b. 109 Matthew 13:10-11, Mark 4:10-11, 33-34, Luke 8:10.